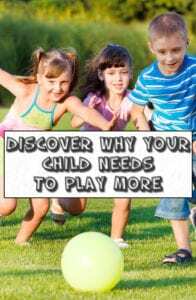 Is your child getting the right amount of play? In this digital age kids often learn to use electronics before they can read and write. I hope to be a developmental advocate because I know it is easy to forget about the important basics that help children learn, grow, and thrive. If you ask a parent they will say they love to see their child smile and hear them laugh as they play. I wonder how many parents can answer affirmatively as to whether their children are playing frequently enough and in the correct manner to aide them in their growth? I am not a therapist that believes all electronics to be bad, but I do believe kids need physical interaction, exploration, and manipulation with people and objects in their environment to learn and grow. And I am not alone in this opinion; for more information on the importance of play you can visit the American Occupational Therapy Association page about play. First let me help you understand why play is so important. Think back to a time when your one-year-old received a new toy; for this case, a toy vacuum. 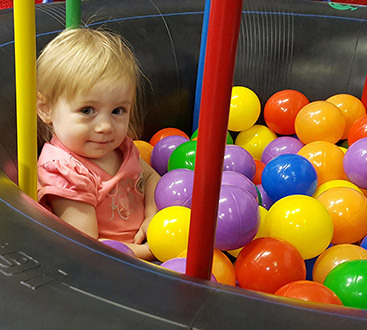 Your child doesn’t know exactly what it is or how to interact with it so she must draw from experience and be willing to try exploratory play. She likely recalls seeing mommy push something similar around so she feels it is safe and has a basic idea of how to begin. She grabs the handle and figures out (with the use of her brain and senses) how to wrap her fingers around it just right to grasp it tightly. Since she is still fairly new to walking, she tries to push it and struggles to adjust her balance and body movements in relation to the vacuum. She makes it a few feet and may begin to feel success before she bumps into furniture or a wall. Although difficult to watch at times, it is important to let her figure things out on her own and she will. She pulls it back slightly then tries to push it forward again. After several repetitions she clears the obstacle. As she continues the old trial and error method to figure her way around similar obstacles, she begins to find quicker solutions. As she becomes more efficient with her new vacuum, she feels good about her accomplishment and will be more willing to play and feel that she will succeed in the future. Unbeknownst to her, and likely you, she has learned about depth perception, the pull of gravity on her body and her toy, her body’s movement in relation to itself and the object, she has gauged appropriate strength for manipulating the vacuum, etc. Now, what can you do as a parent to help your child’s development? Learning about and exploring new things can be very rewarding. This is a major part of developing Physically, Emotionally, Socially, and Cognitively (mental process of acquiring knowledge and understanding through thought, experience, and the senses). At home you can use toys, pillows, balls, etc. to build obstacle courses so your child can try new things and learn that objects can be used in multiple ways (kick a ball, throw it, step over it, etc.). Try different playgrounds so your child experiences new equipment. Of course you will keep them safe, but let them explore and climb over, under, through, and around objects to aide in their understanding of how they can interact with their environment. Read here to learn more about the importance of play on playgrounds. One other thing to consider is what happens if you feel your child isn’t advancing as quickly as his peers or as his siblings do? Most children play, learn, and grow at a steady rate and in a typical manner. Some kids however, may require increased opportunities, increased time, or the “just right” amount of certain types of stimulation to develop and learn. 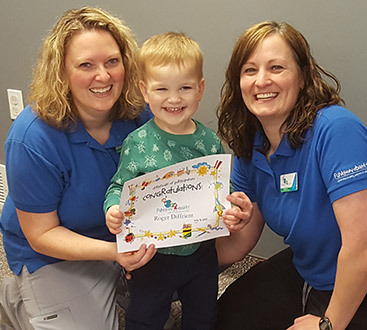 This will help them learn to control their bodies, play, gain social skills, and other childhood tasks that most children learn just from the basic opportunities afforded them. For the kiddos that struggle with everyday tasks, don’t learn from play, or otherwise have difficulties you may consider Pediatric Therapy. Keep in mind that if playing is important at home, it is also important in therapy. therapists that do not use play as a major modality when treating your child. Your therapist should use play and promote challenges that are attainable but push your child to learn in every play task they provide. 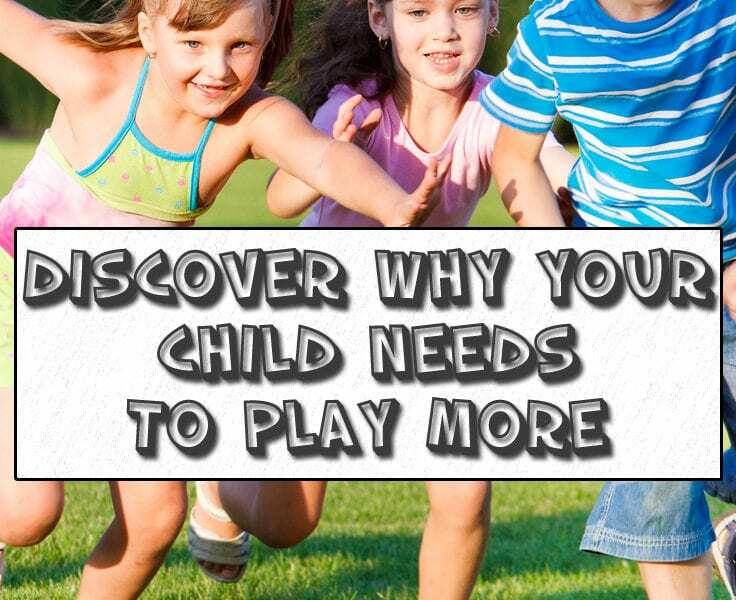 Read this article for more information on play and why it’s important. Previous Post: « Does My Child Need Speech/Language Therapy?